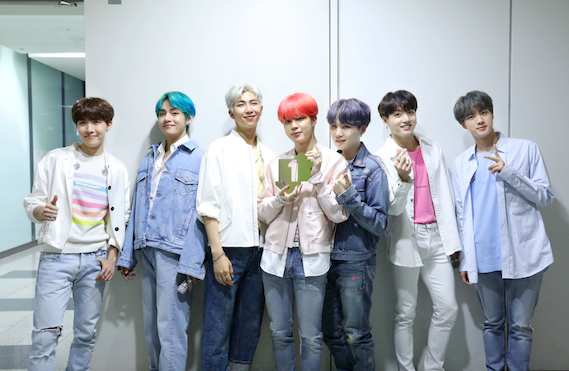 BTS are the first Korean act to score a chart-topping album in the U.K. and Map of the Soul: Persona is their fourth to hit Top 40. The release arrives ahead of a world tour, which will visit London’s 60k capacity Wembley Stadium for two dates in June. On the Official Singles Chart, Lil Nas X’s “Old Town Road” (Columbia) moves up to #1 with 80k combined sales and 9.9m streams this week. 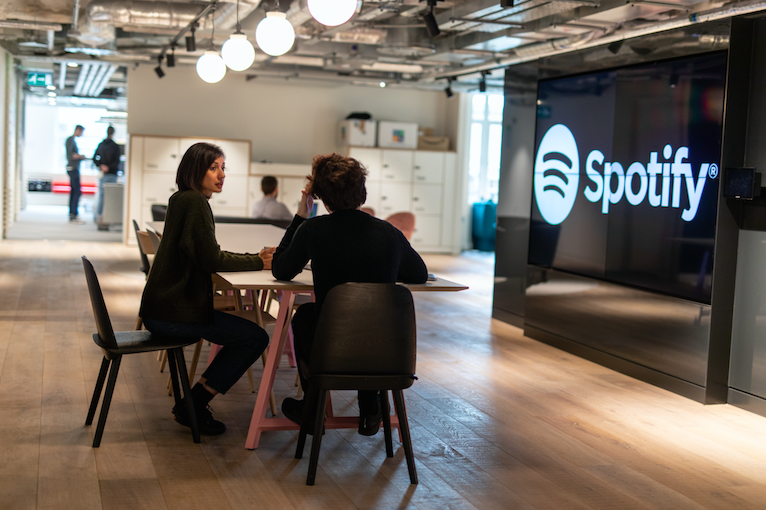 Spotify has added London to the list of places it has a major tech center, opening a Research and Development hub within its new office in the swanky Adelphi Building. The R&D center joins similar operations in the U.S. and Sweden. Daniel Ek’s company plans to more than double its London staff this year to 550 from 260. The streaming service looks to hire across the fields of engineering, product, design, data, research and insights. Its move to Adelphi, which is located near the Strand, will allow it to expand its workforce in Blighty overall across 100k sq. ft. and five floors of office space. Spotify's wider London workforce, who currently work in Soho, will move over to the new space later in 2019. Blueprint Radio has launched a specialized division to pitch musicians as guests on podcasts, having already worked Tom Odell, Freya Ridings, Professor Green and Kioko. Next stop is the States. 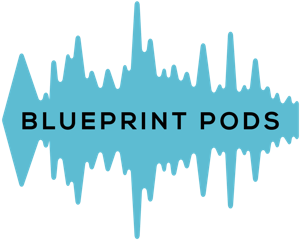 Chris Slade, a former radio promo exec and at Alchemy Radio and EMI Records, founded Bluprint Radio and is a director of Blueprint Pods along with podcast specialist Sophie Paluch. Blueprint Pods is said to be the U.K.’s first podcast-led plugging service, and works closely with hosts, brands, producers and curators, as well as hosting platforms such as Audioboom and A-Cast. 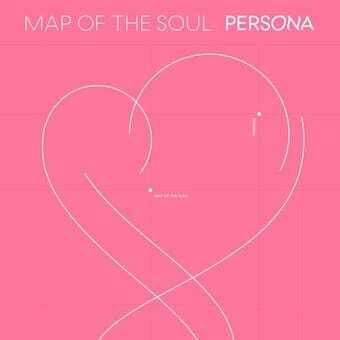 BTS are set to become the first Korean act to chart at #1 on the U.K.'s Official Albums Chart with Map of the Soul: Persona (BigHit) leading the way by more than 10k combined sales midweek. Over on singles, Lil Nas X has overtaken Lewis Capaldi with “Old Town Road” (RCA) moving up to claim first place. The midweek sales for the EP Map of the Soul are already more than the first week sales of BTS’ previous three albums combined, which all reached Top 20. The Chemical Brothers sit behind at #2 with ninth studio album, No Geography (Virgin), while Dogrel (Partisan) from Irish post-punk group Fontaines D.C. is the third highest new entry at #4. On the U.K.'s Official Singles midweeks, Lil Nas X’s “Old Town Road” (Columbia) has overtaken long-running #1, Capaldi’s “Someone You Loved” (Virgin EMI), which moves down to #2. Billie Eilish logs a second week atop the U.K. Official Albums Chart as Khalid’s Free Spirit (Right Hand/RCA) slides in at #2 in its first week. Lil Nas X has to settle for #2 on the singles chart. Last week, when When We All Fall Asleep, Where Do We Go? 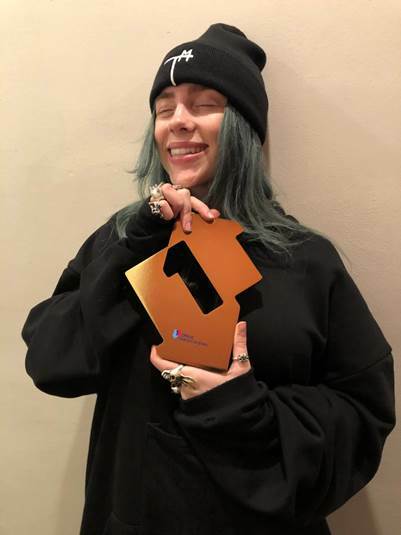 (Interscope) hit #1, Eilish became the youngest female artist to have a #1 album, besting previous record-holder Joss Stone by two months. Stone’s album, Mind Body & Soul, was #1 for only one week so, theoretically, Eilish has set yet another record. Mike + The Mechanics’ Out Of The Blue (BMG) debuts at #7, claiming the highest physical sales of the week. Circa Waves’ third album What’s It Like Over There? (Prolifica) lands at #10; it’s their second Top 10 album. 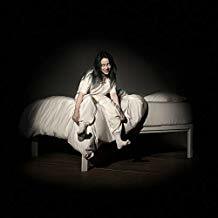 Billie Eilish is looking at a second week at #1 on the U.K. Official Album Charts as When We All Fall Asleep, Where Do We Go? (Interscope) sits 3,500 combined sales ahead of newcomer Out Of The Blue by Mike & The Mechanics. Out Of The Blue (BMG) is currently leading the way on physical sales and if they hold their position, it will be their highest charting album since The Living Years reached #2 in 1988. Khalid’s Free Spirit (Right Hand/RCA) is offering a challenge, though, sitting just 700 combined sales behind Blue at #3. On the singles side, the original version of Lil Nas X’s “Old Town Road” (Columbia) looks like it will make a significant leap into the Top 5 from #39. It is sitting at #4, surging since the release of a remix featuring Billy Ray Cyrus. The top two are looking to go unchanged: Lewis Capaldi’s “Someone You Loved” (Virgin EMI) at #1 for a seventh and Eilish's “Bad Guy” at #2. Eilish, 17, has claimed the youngest female record by being just over two months younger than Joss Stone was when she reached the top with her second album in 2004. When We All Fall Asleep, Where Do We Go? is also the biggest debut album from an international artist to top the Official Chart since Lana Del Rey’s Born To Die in January 2012. 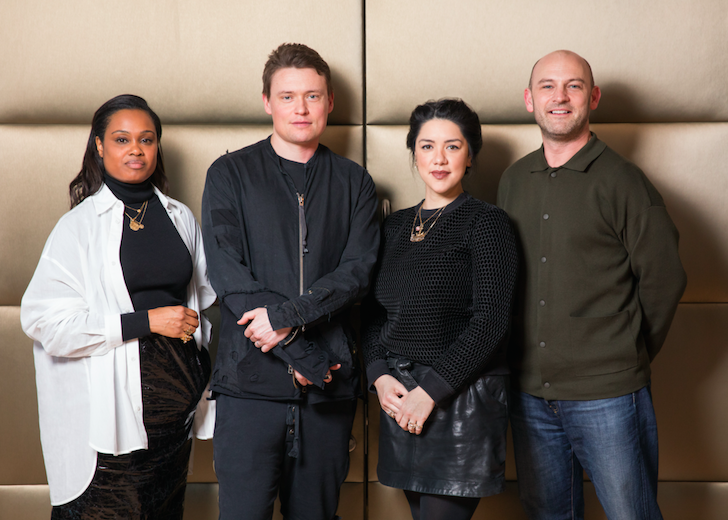 FRESH FACES AT RCA U.K.
RCA has brought in, from left, Damaris Rex-Taylor and Phil Youngman in Marketing and Promotions under Stacey Tang and David Dollimore. The team at RCA Records UK has grown with the appointment of Damaris Rex-Taylor, who joins from Disturbing London as Director of Marketing, and Phil Youngman, formerly of Atlantic Records, as Director Of Promotions. The duo both report to MD Stacey Tang. Rex-Taylor, who has 10 years' experience across music marketing and management, was most recently General Manager at Disturbing London, where she worked alongside co-Founders Dumi Oburota and Tinie Tempah. While there, she spearheaded the 360 business strategy and was integral in signing a recent joint venture with Warner Music. Prior to that, Rex-Taylor was Senior Marketing Manager at Parlophone Records, working with artists including Pet Shop Boys, LCD Sound System, Chemical Brothers and Snoop Dogg. At Atlantic, Youngman has been Head Of Radio Promotions for the last 12 years, where he's played a pivotal role in the success of Ed Sheeran, Stormzy, Jess Glynne, Anne Marie, Plan B and Clean Bandit. With over 20 years' experience in the music business, he previously worked at Columbia, French dance label Distance and Sony's club culture label Higher Ground.